An abandoned high-speed chase led provincial police to the scene of a house fire early Tuesday morning. The Ontario Provincial Police said officers in Springwater, Ont. attempted to stop a silver pickup truck for speeding on Highway 400, north of Highway 11, shortly before 2 a.m. When the driver of the truck did not stop, police engaged in a brief, high-speed chase, before calling it off due to safety concerns. Police say they are now looking for 58-year-old Thomas Lustvee, and a 2005 silver Dodge Ram with the Ontario license plate 344 6YJ. Following the chase, investigators visited a home in Bracebridge, Ont., approximately 90 kilometres northeast on Highway 11. The home was listed as the residence of the registered driver of the vehicle involved in the chase. When police arrived at 1101 Baldwin Rd., just north of Ziska Road, they found the home had been engulfed in flames. Police in Bracebridge said the fire was reported by a neighbour at approximately 12:30 a.m. Firefighters were called to the scene, but fire had already destroyed much of the structure. They concentrated their efforts on keeping the fire from spreading to the nearby forest. Police said it is not believed that anyone was home at the time of the fire. Burke-Lustvee said he doesn’t know his father’s current whereabouts, but police say they would like to speak to him. Officers have not said what caused the fire, but said that the Ontario Fire Marshal has been called to investigate. Anyone with more information is asked to contact police at 705-645-2211 or 1-888-310-1122. Damage caused by a Bracebridge, Ont. 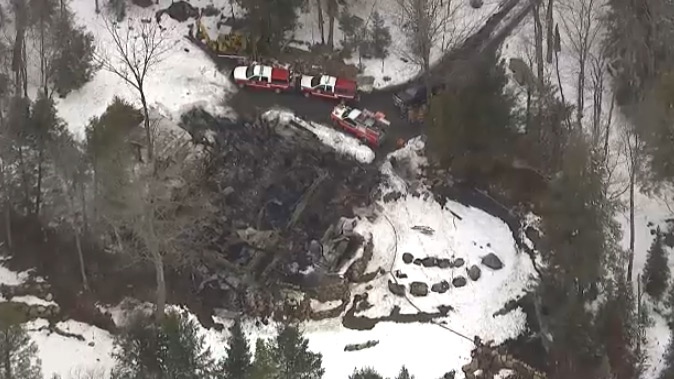 house fire can be seen from the CTV News chopper on Tuesday, April 7, 2015. 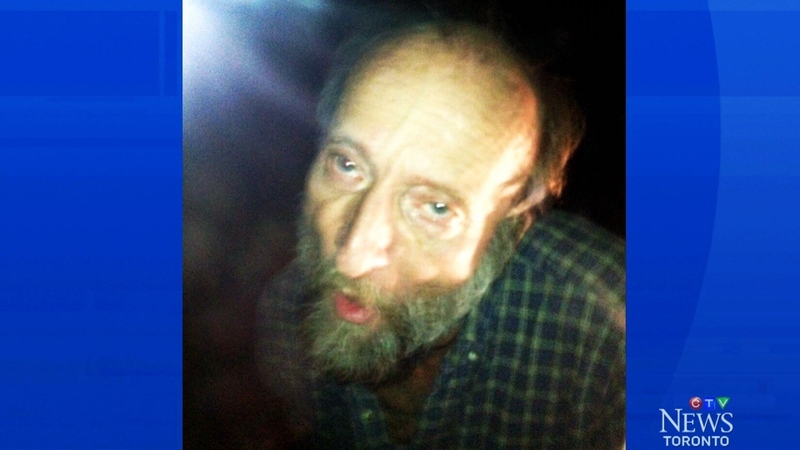 Police say they want to speak with Thomas Lustvee, who is believed to be connected to a house fire in Bracebridge, Ont. and a high-speed chase on the 400.